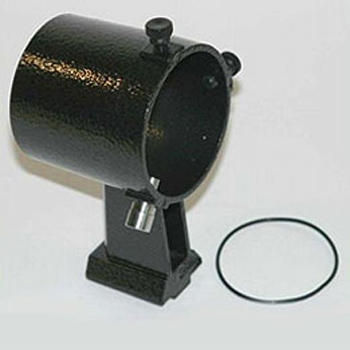 The bracket has a clever two-screw spring-loaded adjustment system that allows precise and quick calibration with the main instrument - robust enough to remain in perfect collimation after the telescope is stored ready for the next observing session. Fits all standard dovetail shoes found on Orion, Sky Watcher, Helios, Celestron, Konus and many other scopes. This is a well-made item engineered in aluminium and finished in dark gunmetal grey powder-coated hammer finish.